German audio brand Sennheiser on Monday launched new wireless earbuds in its “Momentum” range for Rs 24,990. The new “Momentum True Wireless” Bluetooth earphones have a four-hour battery life that can be recharged via its compact case with integrated power bank. The Sennheiser Momentum earphones are splash- and sweat-resistant, Sennheiser said. 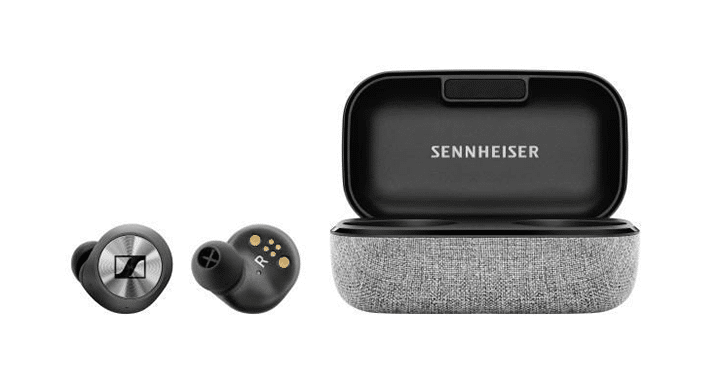 “The Momentum True Wireless truly redefines the audio benchmark and raises the bar for wearable sound,” said Kapil Gulati, Director, Consumer Segment, Sennheiser India. The 2-mic noise cancellation beamforming technology and “Transparent Hearing” in the earphones allow one to always be aware of the surroundings, with or without the music, Sennheiser claimed. On the move, the Transparent Hearing feature lets listeners hear ambient sounds for improved situational awareness, or for participating in conversations without removing the earbuds. The Sennheiser Momentum earbuds also allow direct voice access to smart assistants such as Apple Siri or Google Assistant, the company said.